If you’re interested in a more sustainable, durable alternative to your current flat roof, then converting to a pitched roof may be the best option. At Emperor Roofing, we have an extensive team of experts in converting flat roofs to pitched roofs, in various locations across the North East. Having served the region for over 20 years, it’s fair to say we have a great deal of experience doing what we do. We work across the whole of Tyne and Wear, including Newcastle, Gateshead, Blaydon, Washington, Sunderland, Chester-le-Street, Durham and Middlesbrough. 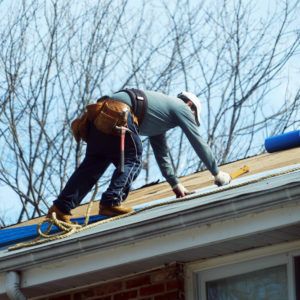 So if you’re looking to convert your roof in one of these areas, we can certainly help you. Why choose Emperor Roofing to convert your roof? A pitched roof creates a more traditional feel to a house, keeping the look of the property more consistent. A property that has pitched roofing in some areas and flat in others tends not to look as polished. They also keep a great appearance over many years, so there won’t be any maintenance required. We understand that aesthetics are important, but not only do pitched roofs provide the looks, they have many more functional benefits. Pitched roofs have substantial ‘void’ space that can be well insulated to help keep the heat inside of your home. With less heat escaping due to extra insulation space, you may also see a reduction in your energy bills. So the investment now could potentially make you savings for many years to come on your utilities. A flat roof can often experience leaks more often than a pitched roof, particularly if it hasn’t been installed effectively. Water can sometimes gather on the flat roof, forming pools and eventually leaking through. A pitched roof will ensure rain water slides straight off the roof, with no chance of puddles forming. Drainage pipes are fitted externally when installing a pitched roof, so there won’t be risk of leaking pipes inside of the house. A pitched roof has a lifespan of around 50-80 years, including the rainwater collection and drainage elements. If the roof has a natural slate covering, the lifespan can exceed 100 years. This means that once it is installed, there will be minimal costly repairs or decoration required, making it a solid investment for both the appearance and function of your property. Pitched roof properties can be less susceptible to crime as criminals are less likely to gain access to different areas of your property in the way they may be able to when scaling a flat roof. As well as the water resistance mentioned previously, pitched roofs also tend to fare better in adverse weather such as snow, hail and high winds. They ensure heat is kept in during colder periods, help to lessen the noise from wind that is heard inside of the house and hail is less likely to cause damages than to a flat roof. A pitched roof allows you more options when it comes to enhancing your home, firstly just converting a flat roof to a pitched roof alone can add value to your home. With the added space, you’ll also be able to build into the space in future should you wish to. Bathrooms, play-rooms, offices and storage rooms tend to be the most popular extra living-space options beneath a pitched roof. Not only does this give you more space, but will also appeal to future buyers. Having a pitched roof also makes it possible to install solar panels, meaning you could save money on energy costs. Where can I have a roof conversion? 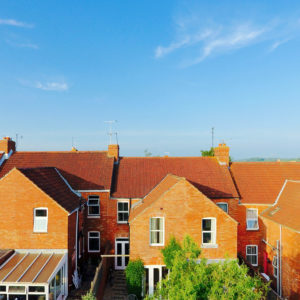 In some cases, such as if the property is a listed building, or is in a conservation area, you may need planning permission to convert your roof. 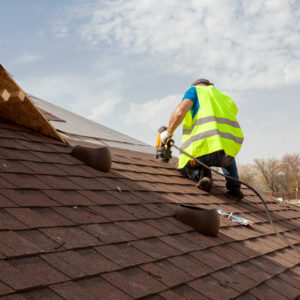 In most cases, a roof conversion is considered permitted development and so you won’t need planning permission to proceed, but it is worth checking with your local planning authority before any work commences. If you plan on building a room into the space, you will be required to have a minimum ceiling height of 2.3 metres, so be sure to bear this in mind when planning your conversion if you intend to make extra-living space out of your pitched roof. Tip – If you’re planning to create a living area in the roof space, or are converting your garage into a living space, consider adding velux windows as this can bring in further natural light. For more information on planning permission, you can visit the government Planning Permission and Building Regulations site. Carrying out an extensive portfolio of work for many highly satisfied customers all over the North East, we’ve got proven results in converting flat roofs to pitched roofs. Just head to Check-a-Trade and MyBuilder to see our excellent ratings for yourself. There are thousands of untold benefits to contracting an expert to install your new pitched roof, along with peace of mind, first-class installation and use of high-quality materials. Our expert team specialise in roof conversions, so give us a call today. We’ll carry out a consultation free of charge and provide you with a no-obligation, full quote. Not only will we advise on costs, we’ll also keep you in the loop throughout the consultation, giving you tips on what to look out for and answer any questions you have. Our North East roof conversion specialists provide the highest standard of service throughout the entire installation, ensuring you are kept up to date on the progress. Our initial quotes are completely free, so get in touch with our expert contractors by simply entering your details in the contact form below. 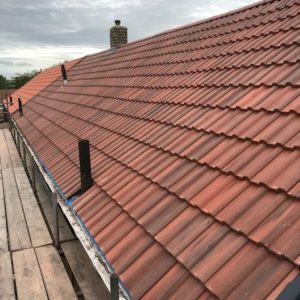 We promise a dedicated team of roofing specialists that will handle your roof conversion seamlessly, tailoring the service specifically to your property for the best possible results. Do I need to convert my roof? You can get in touch with one of our team regarding a roof conversion today. All you have to do is fill in this form, and we’ll get back to you as soon as possible.